Better than new! Move-in ready! Instant equity! This immaculate gem features 3300 sq ft and 1345 in the basement. There are 4 bedrooms and 4 baths! There is a large master retreat with a master closet the size of a bedroom. There is a large gourmet kitchen that opens to the great room, formal dining room perfect for entertaining, butler station, main floor office, newly designed large upstairs laundry room, brand new carpet, brand new blinds on main level, new pantry storage, stunning corner lot with pristine landscaping, covered back & porch, court yard, porte cochere & 4 Car Garage! 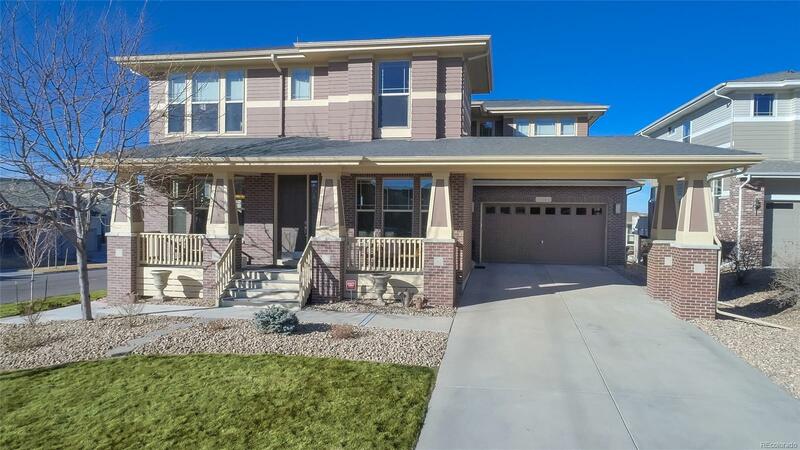 Located in Southshore Community, with miles of trails, parks, outstanding schools, salt water infinity pool, fitness center, fire pit, clubhouse, and access to the Aurora Reservoir within minutes. This home is also close to incredible shopping, dining & a massive new King Soopers!